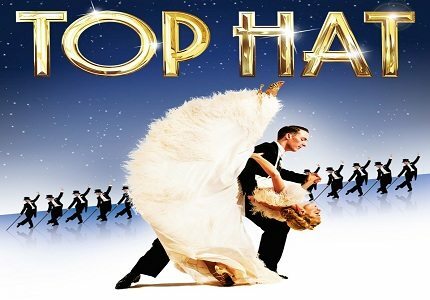 Almost 80 years on from the Hollywood golden age that saw Ginger Rogers and Fred Astaire dancing as if there was no tomorrow in the hit film musical Top Hat, the show has found its way to the London stage, bringing all the glitz and glamour of the 1930’s with it. Like the film, the musical is a charming love story that follows Broadway star Jerry Travers’ efforts to romance a high society model, Dale Tremont, with the leads played by Gavin Lee and Kristen Beth Williams. The musical brings colour to what was once a black and white film. The costumes alone are brimming with vivid splendour; the bright lips and show costumes of the era are out in force! And of course, the iconic feathered dress worn by Ginger Rogers in the “Cheek to Cheek” sequence has been replicated, with Williams and Lee proving they are just as capable of ruffling feathers as the former Hollywood dance duo! Well behaved children and adults alike will love this show for its visual brilliance and musical genius. 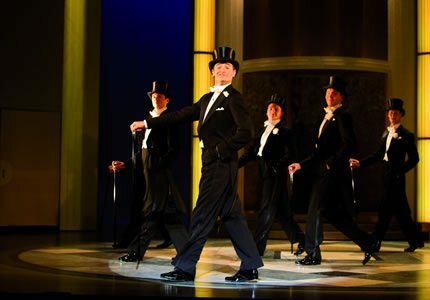 There is no offensive material in the show, just good wholesome fun and frolics; this makes a trip to the Aldwych Theatre to see Top Hat the perfect show for the whole family to enjoy together!